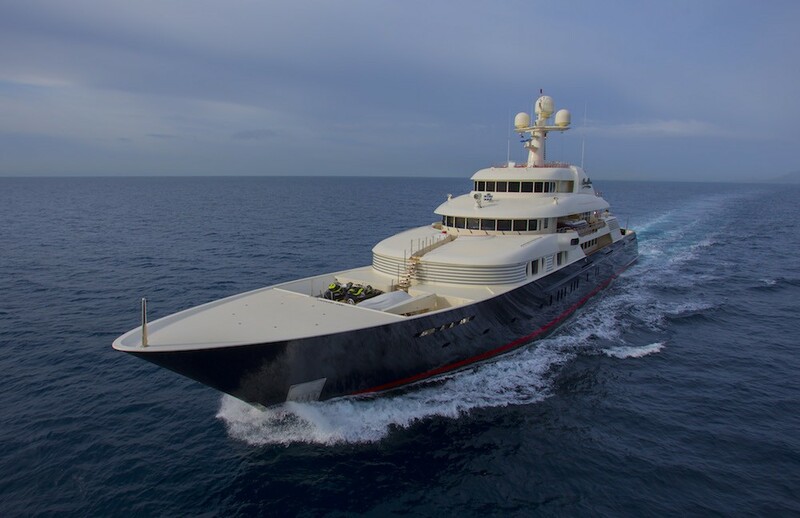 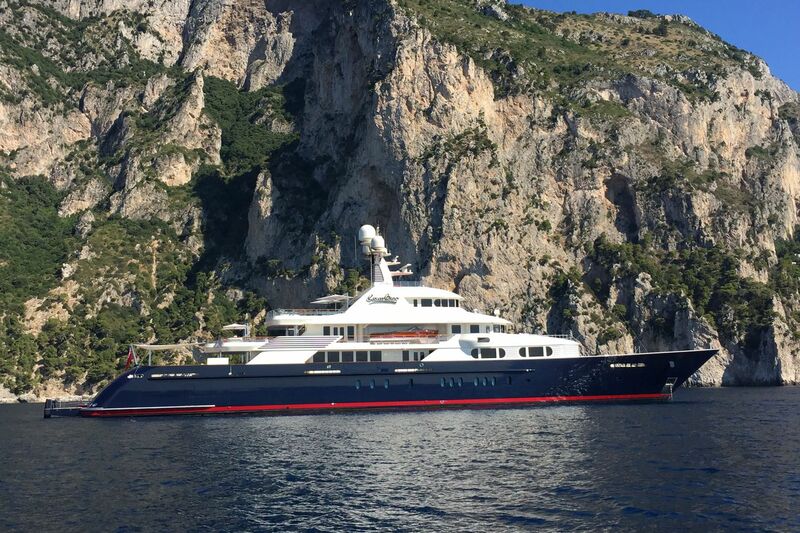 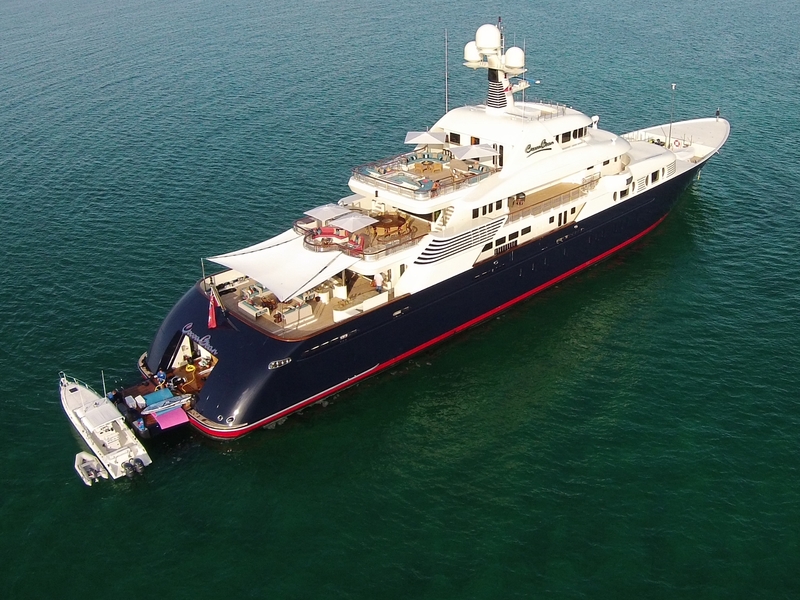 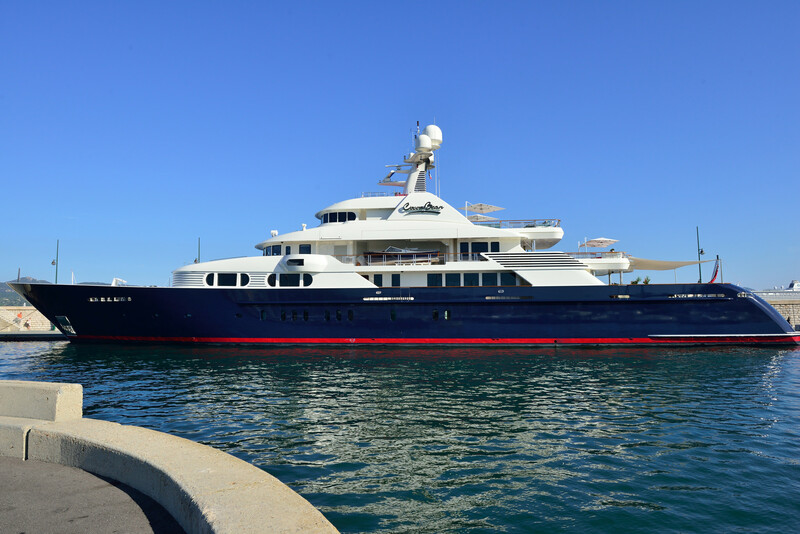 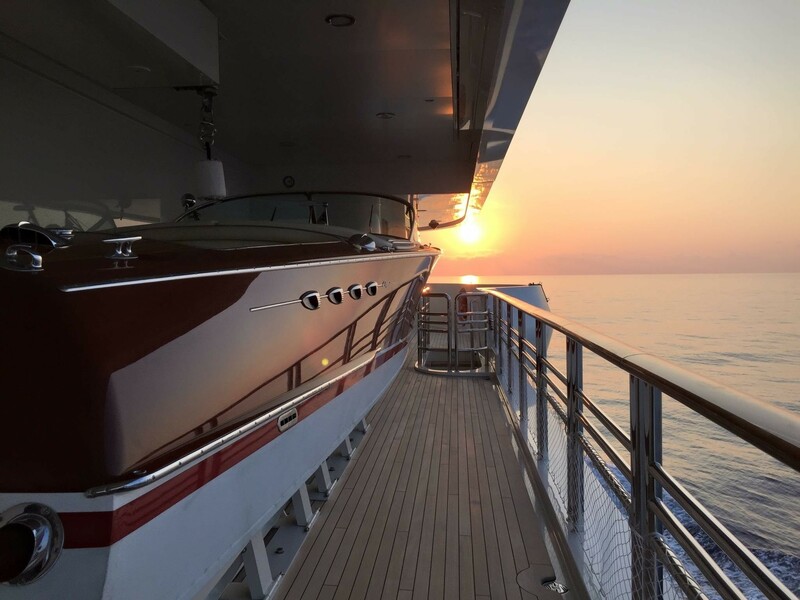 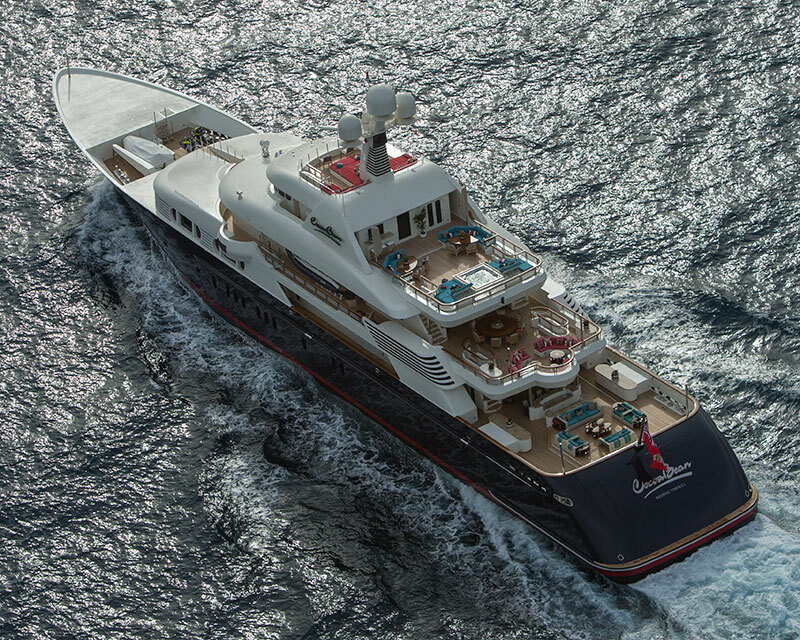 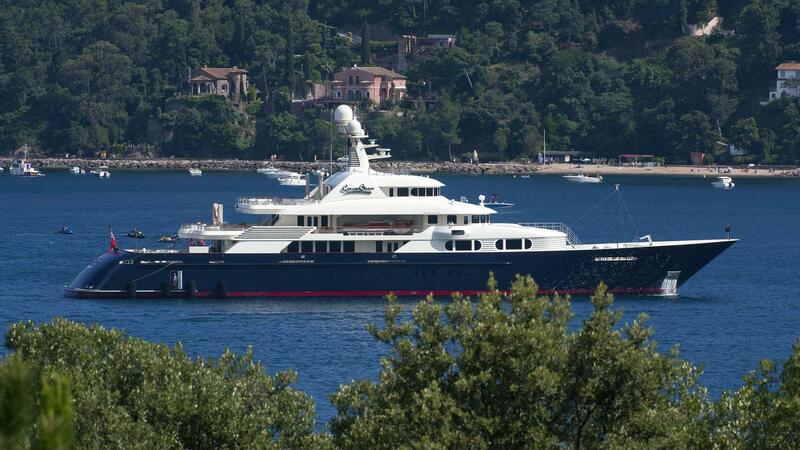 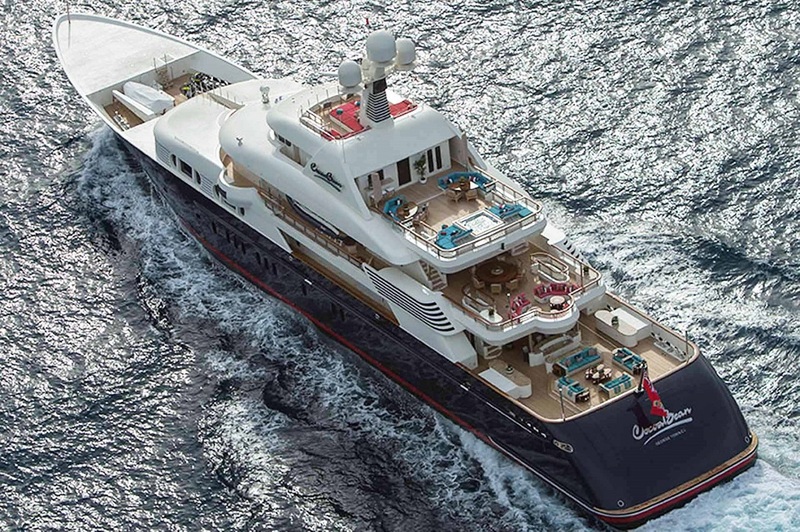 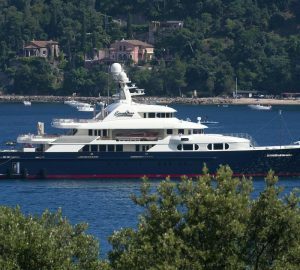 Superyacht Cocoa Bean (ex New Horizon) is a 2014 steel hulled 73.8m (242 foot) long quad deck motor yacht which was built in the USA by Trinity Yachts. 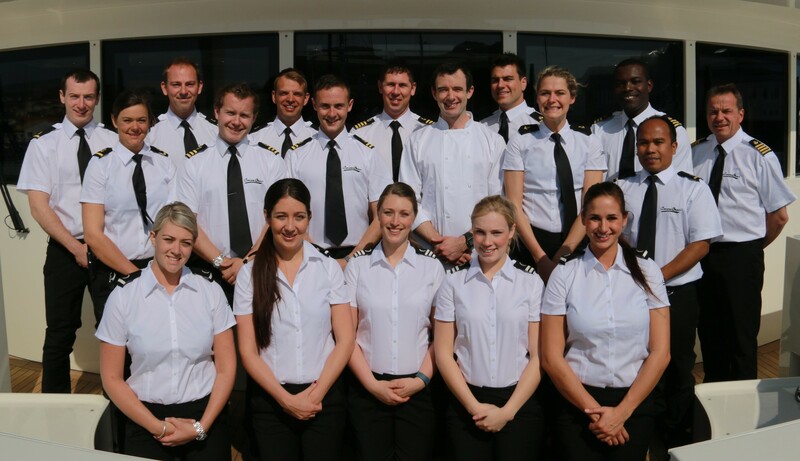 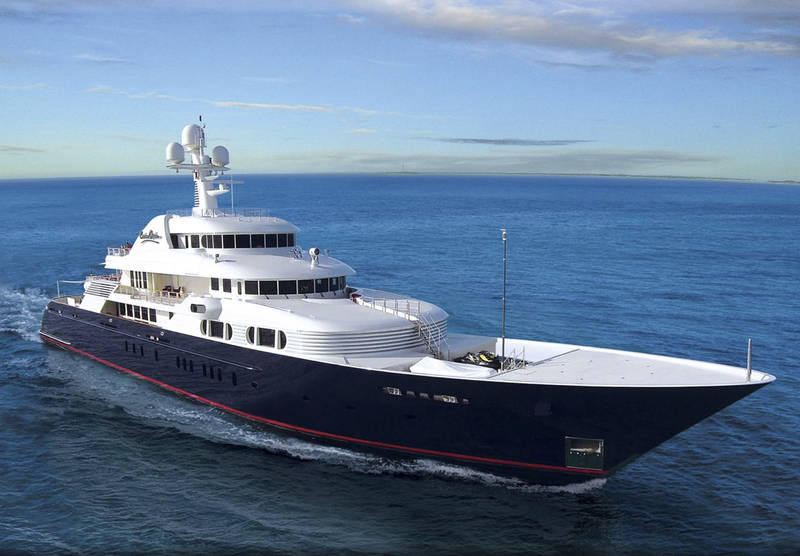 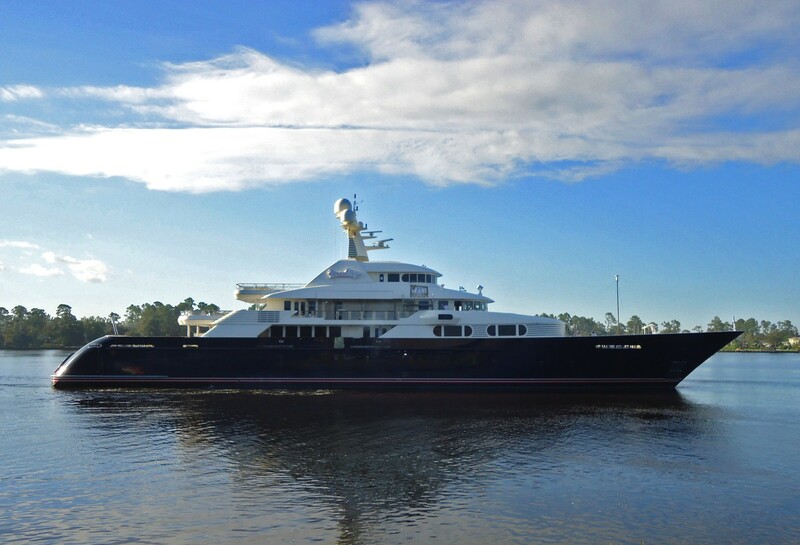 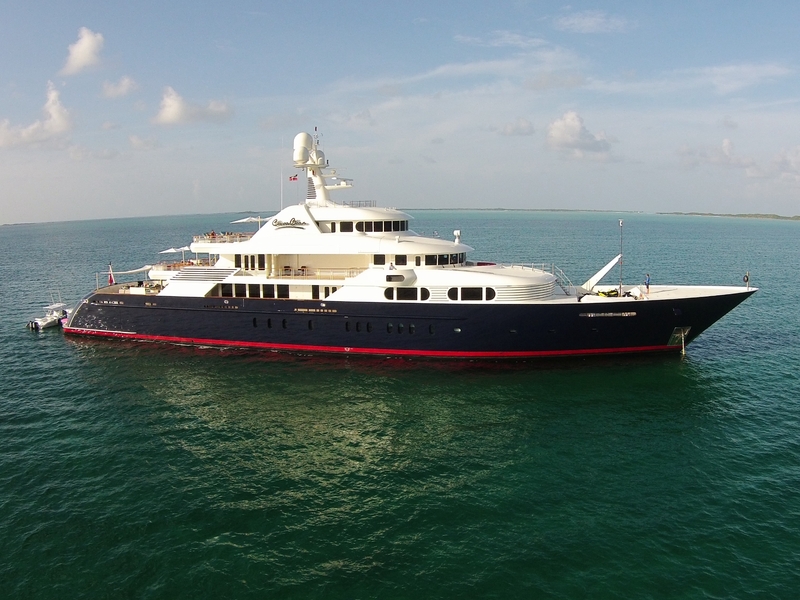 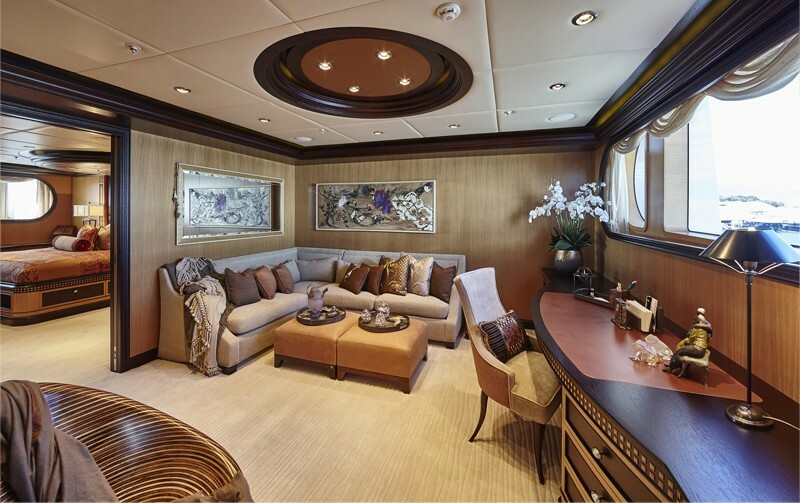 She can accommodate up to 14 guests in 7 cabins and was designed by the in house naval architecture of Trinity. 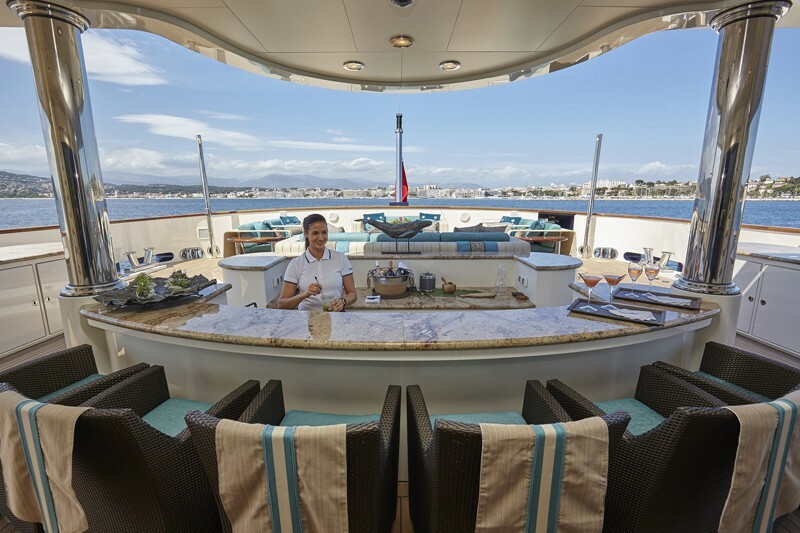 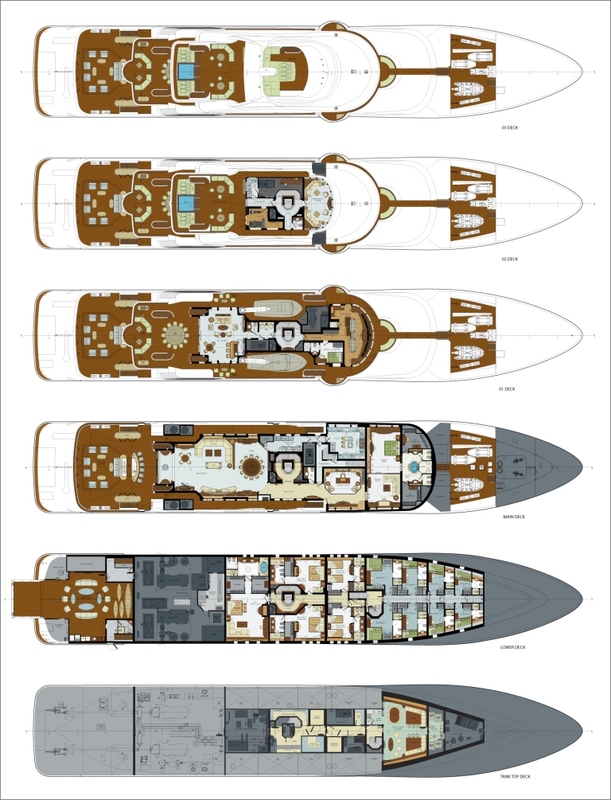 Her interior design is by Evan Marshall and is built around relaxed family cruising. 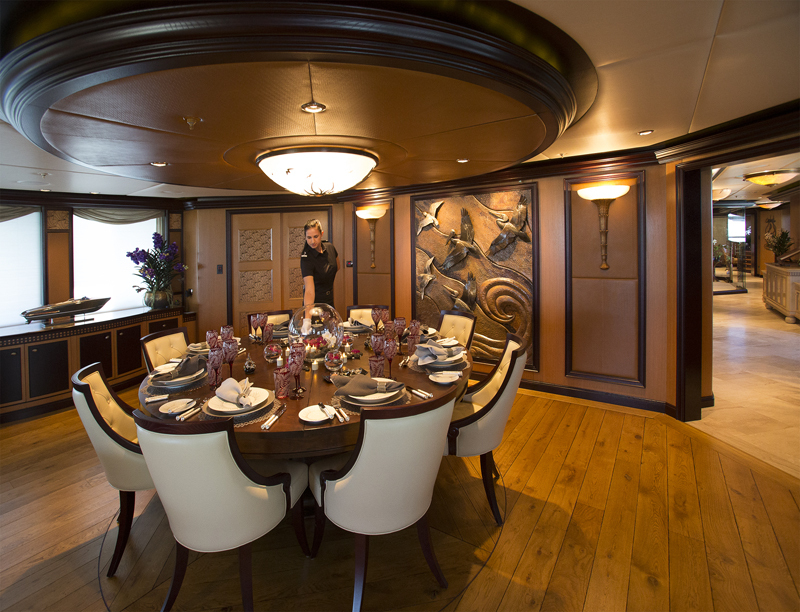 The interior décor is timeless, featuring a beautiful blend of neutral furnishings and bespoke finishes. 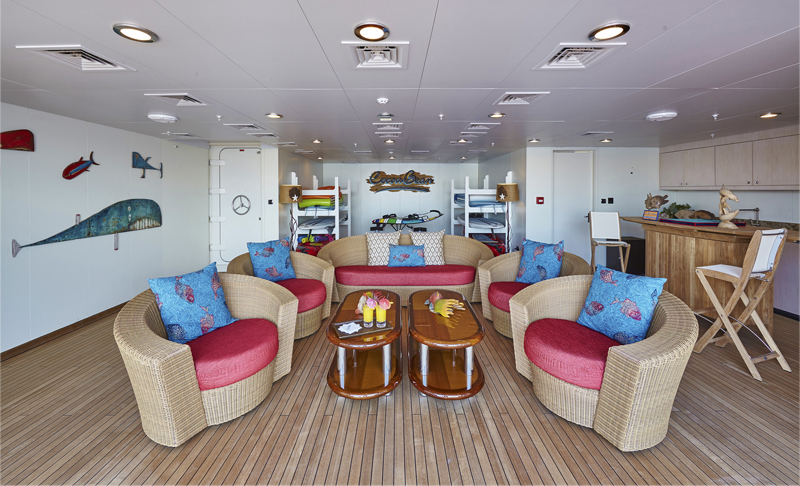 On the main deck is the salon laid out in an open plan, offering the lounge with plush sofas, seating and coffee table aft and formal dining forward. 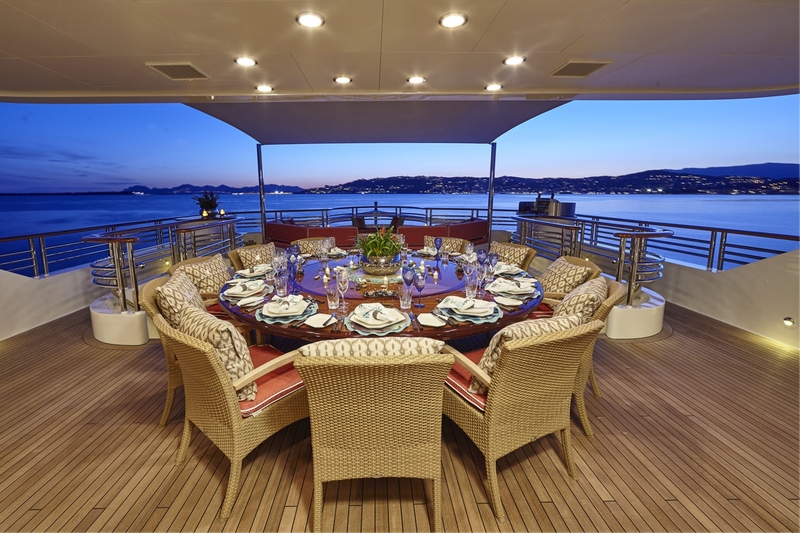 Large panoramic windows deliver plenty of natural light and boast stunning views. 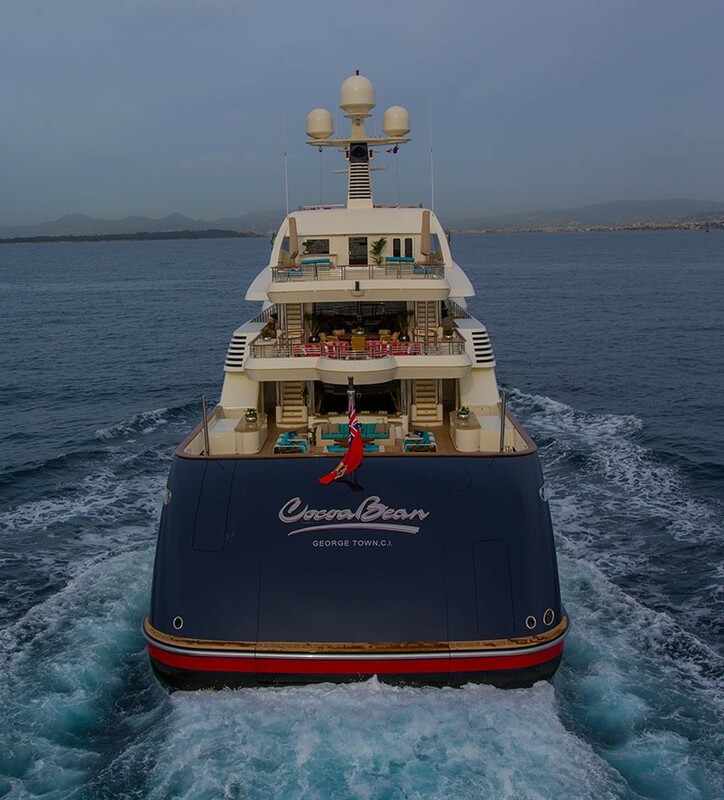 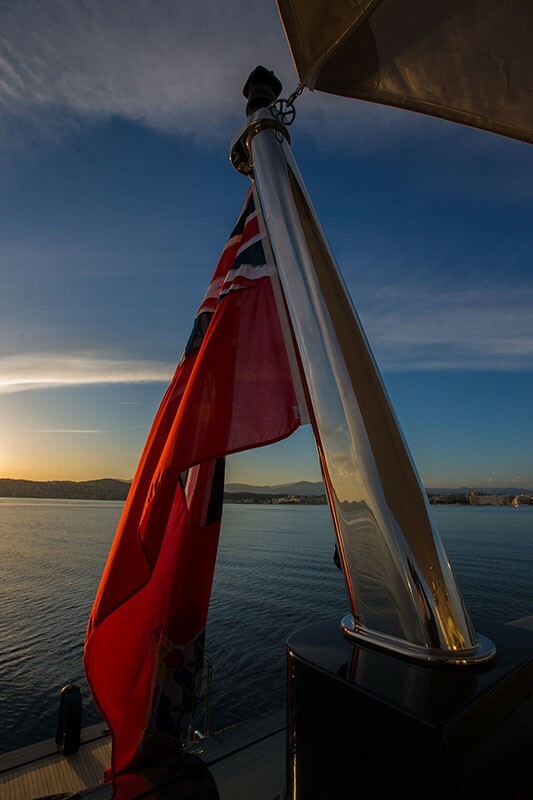 Forward on the main deck is the master stateroom, lavishly spread full beam of the yacht and includes a separate lounge, private study, huge en-suite and walk in wardrobes. 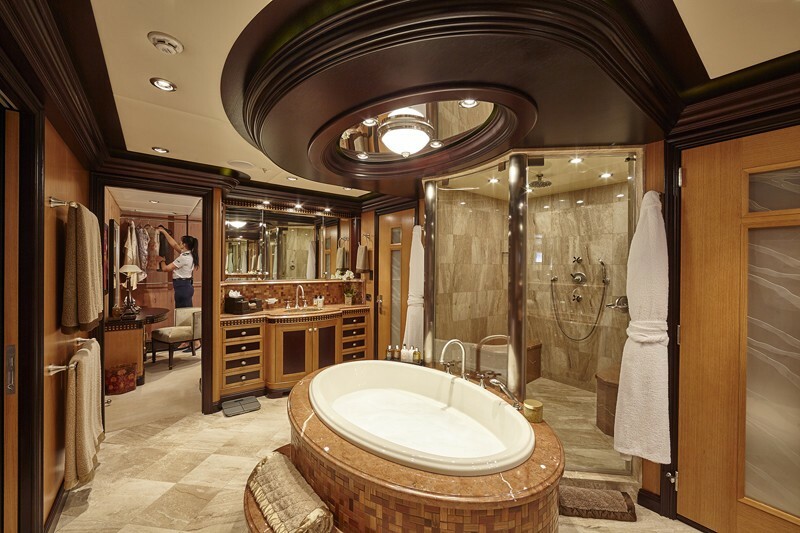 Further guest accommodation is on the lower deck, in one full beam VIP cabin, 2 mirror image double cabins and 2 twin cabins. 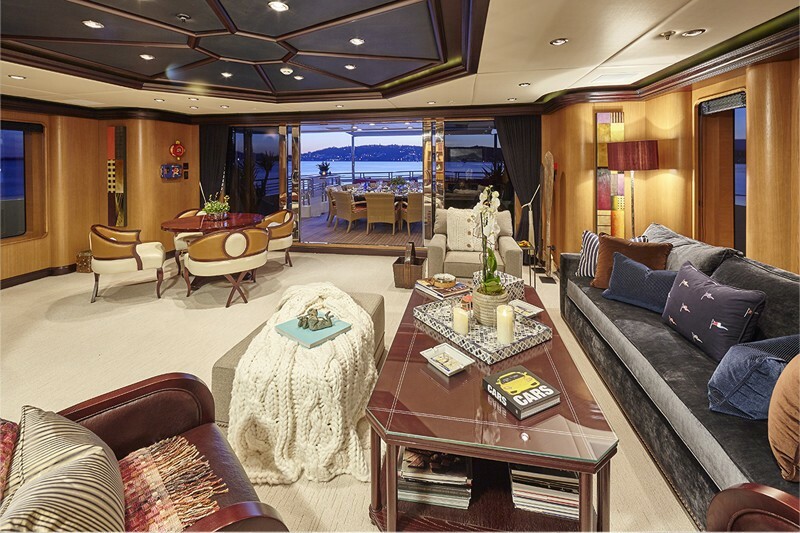 The upper bridge deck salon is perfect for entertaining, offering a comfortable lounge with sofa, occasional chairs, coffee table, ottoman, games table and complete wet bar. 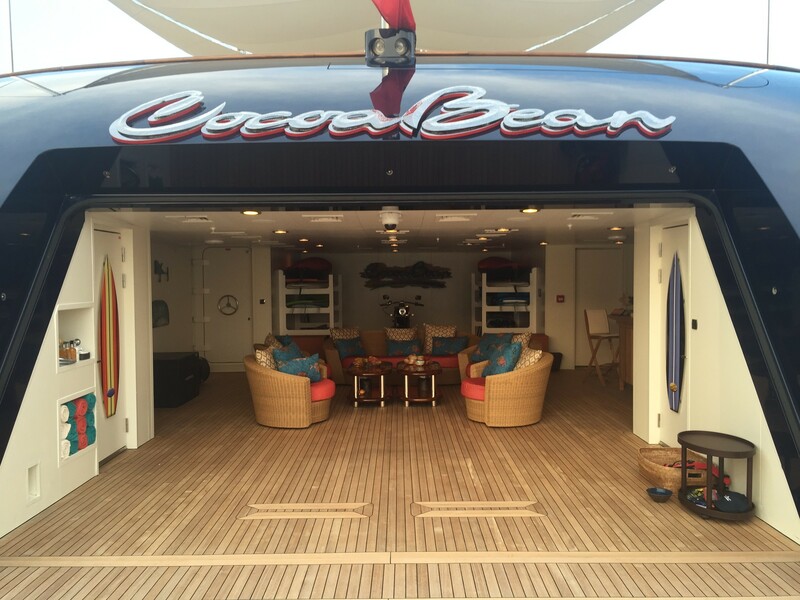 On the top interior deck is a full beam observation lounge, offering 180° scenic vistas. A convenient and well placed elevator reaches all interior and exterior decks from the main foyer. COCOA BEAN’s exterior living is exceptional, boasting 5 levels of leisure. 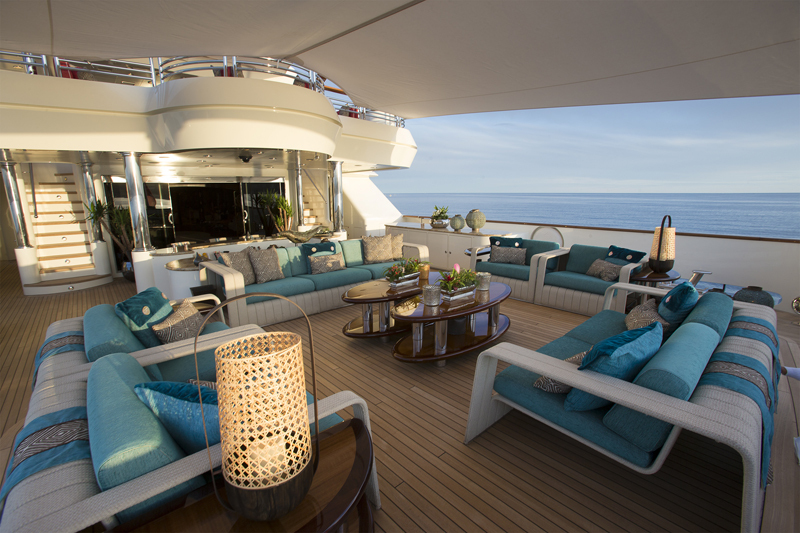 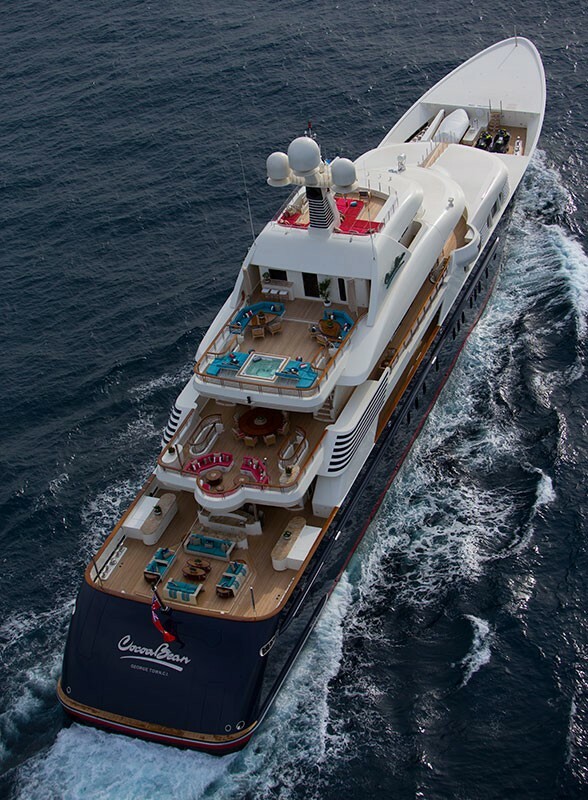 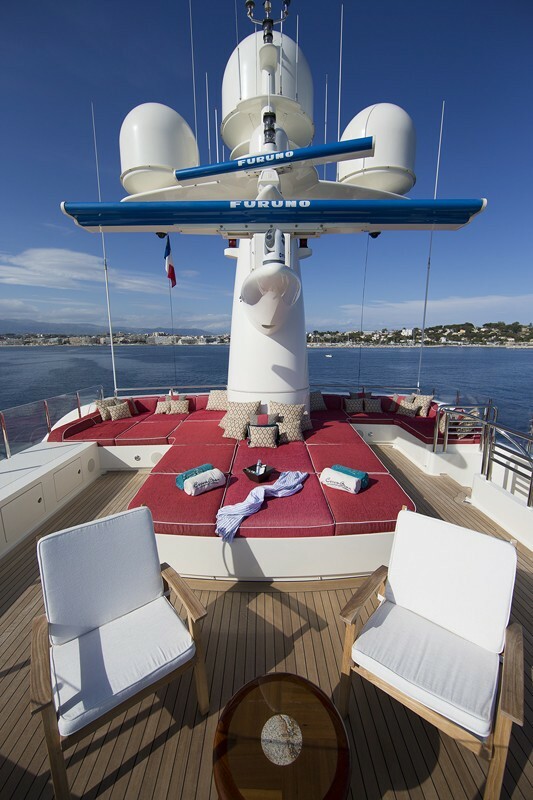 The main deck aft is a vast space and has aqua blue toned seating, coffee tables and optional shade. 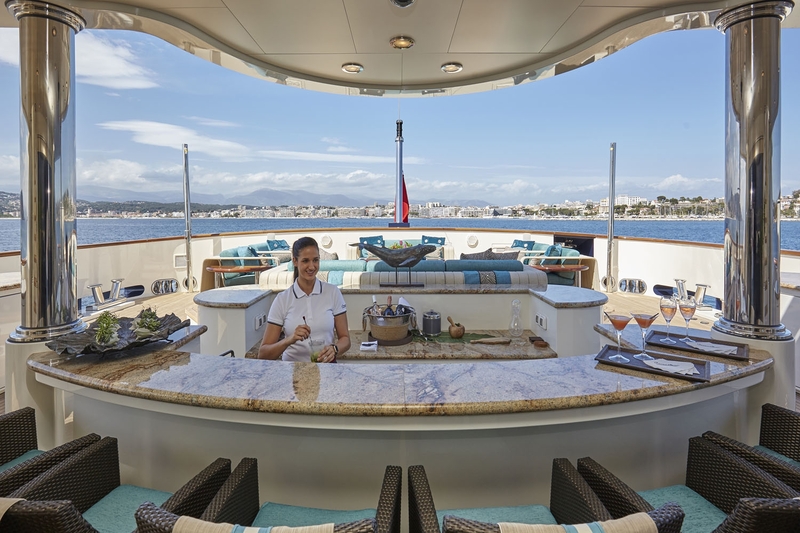 Further aft the stern opens out to reveal a massive beach club and water sports center. 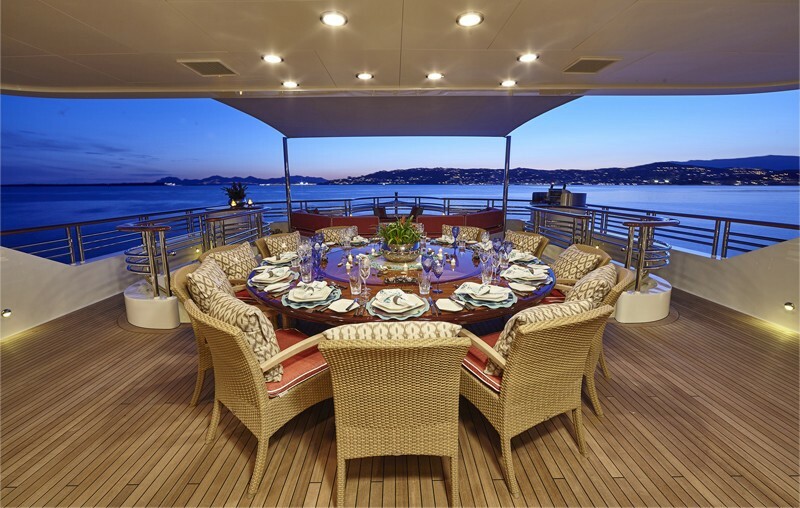 On the bridge deck aft is a built in seating area and alfresco dining table. 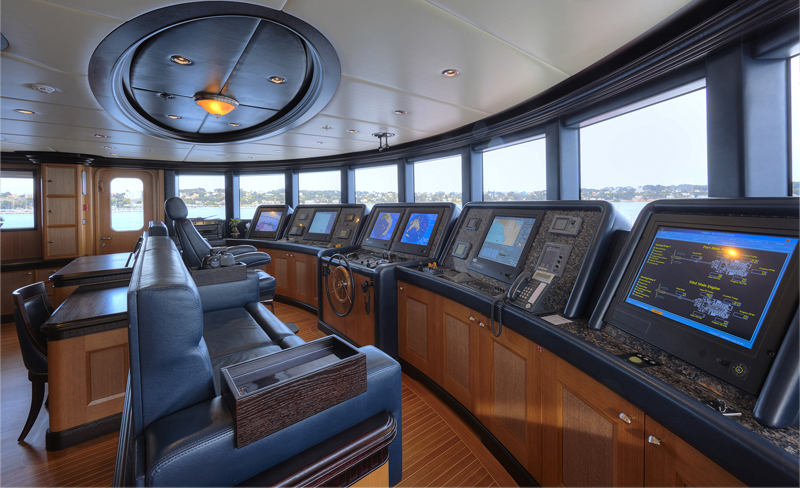 The bridge deck forward offers a further seating area, a fabulous spot to enjoy the views underway. 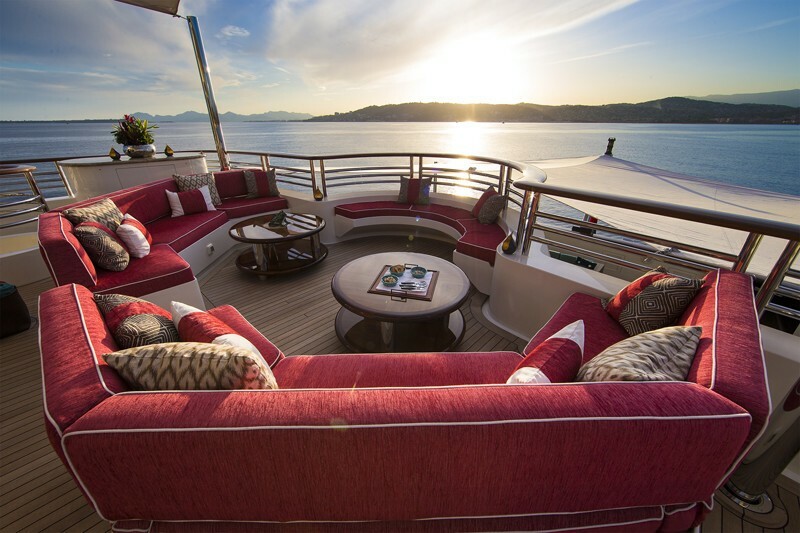 Aft of the observation lounge on the upper deck is fantastic social space, complete with seating, cocktail tables, sunpads, Jacuzzi and wet bar. 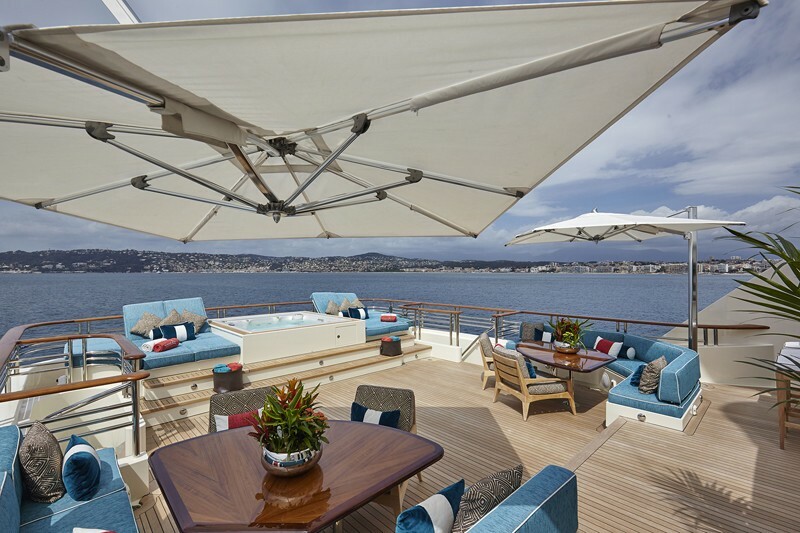 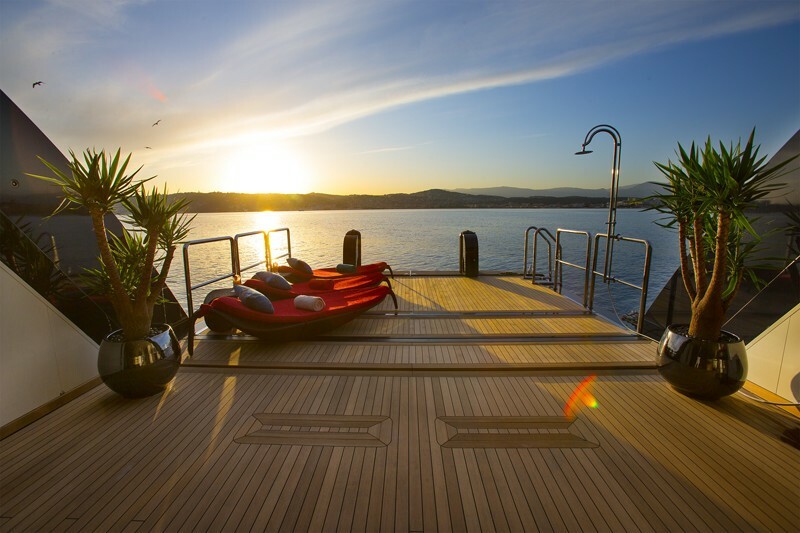 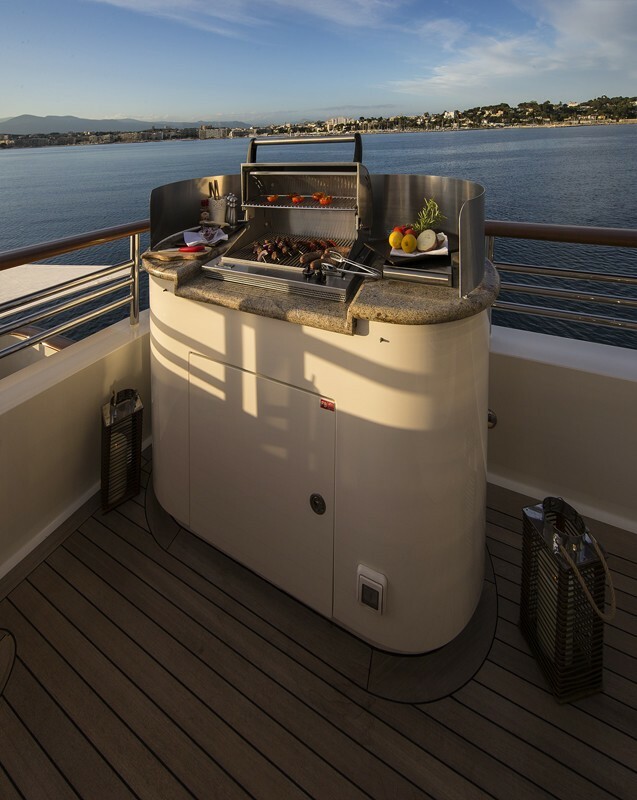 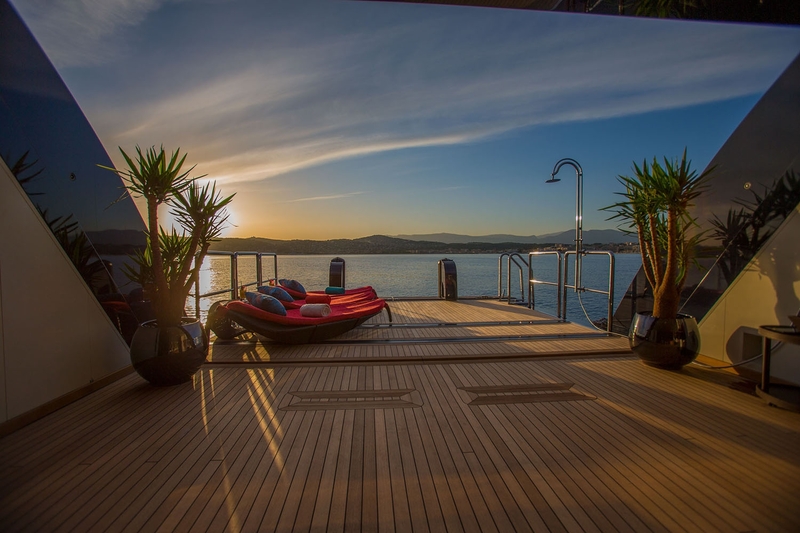 The top sundeck is a more intimate area of sunpads, seating and spectacular vantage points. 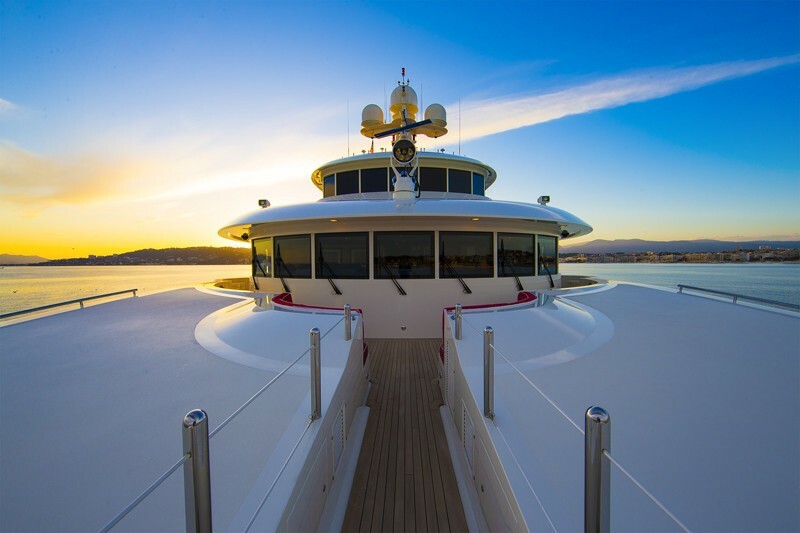 Cocoa Bean has an aluminium superstructure and she is Classified as ABS Maltese Cross A1 Yachting Service, AMS, and MCA compliant. The yacht's twin Caterpillar 3512C marine diesel engines each produce 2,682 horse power. 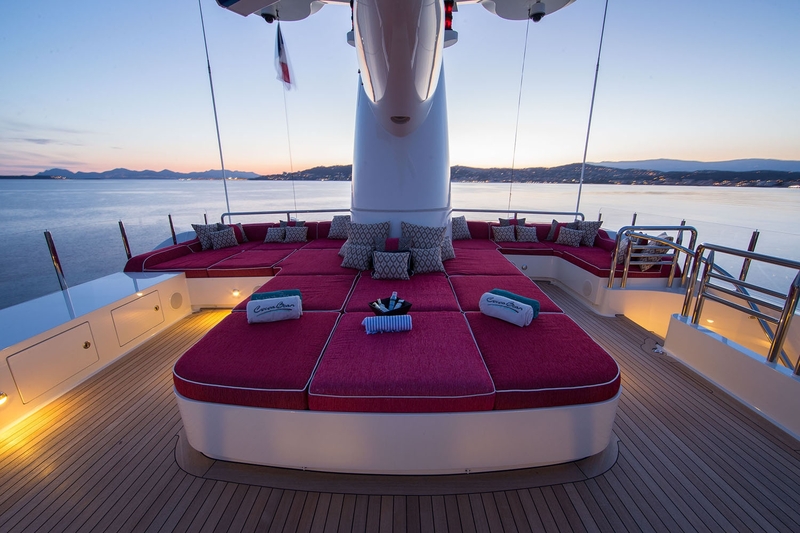 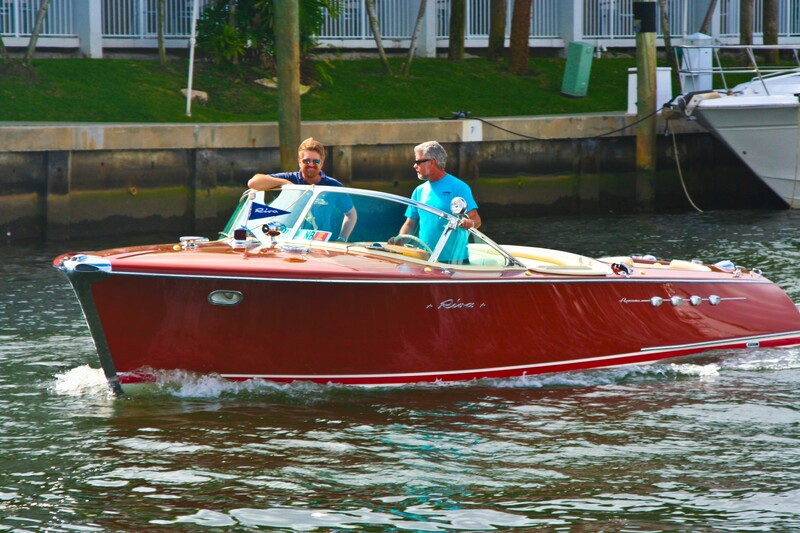 She is fitted with a complete stabilization system for added comfort and relaxation. 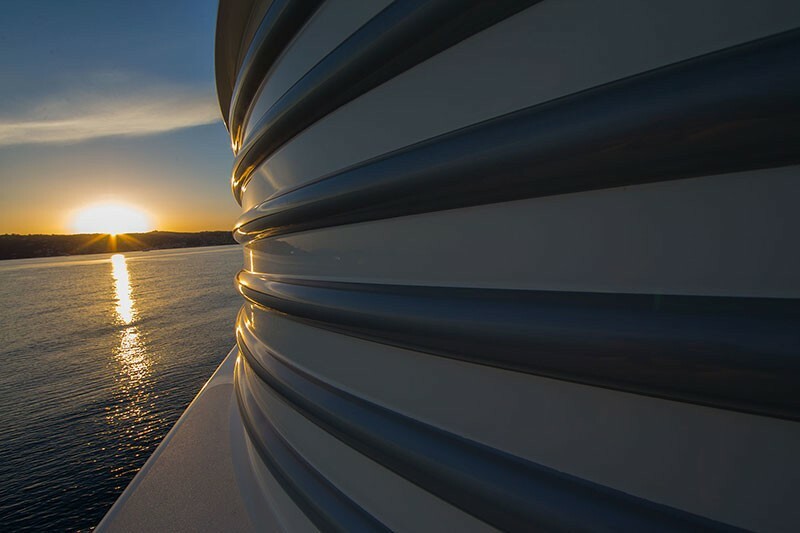 Accommodation is in 6 stylish guest cabins. 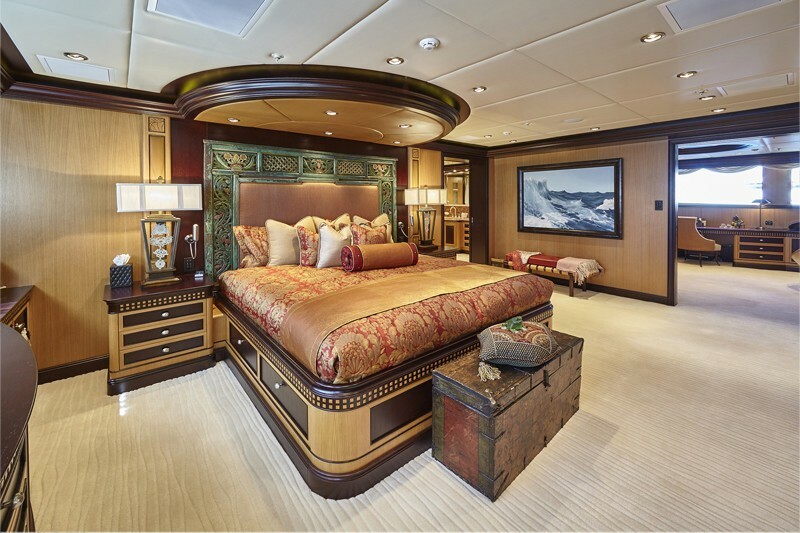 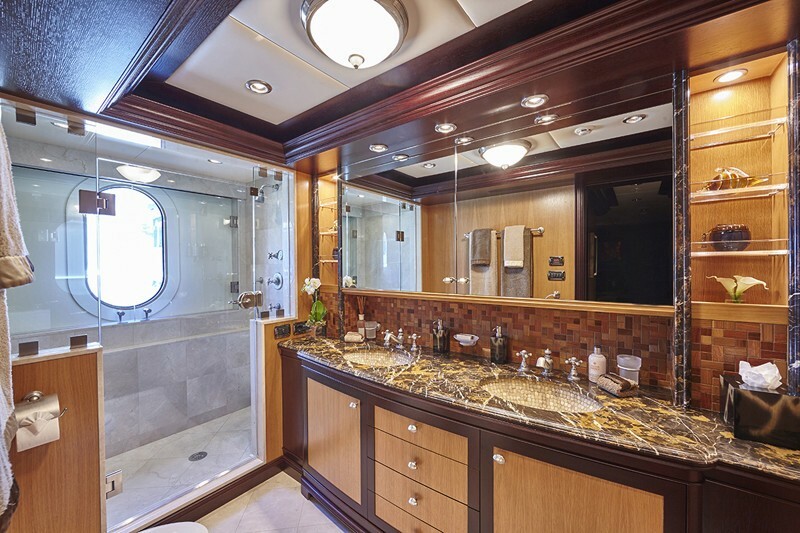 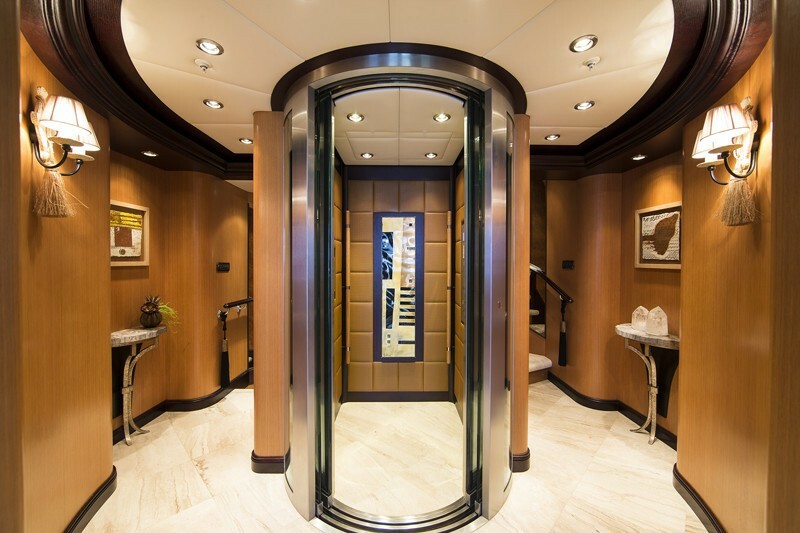 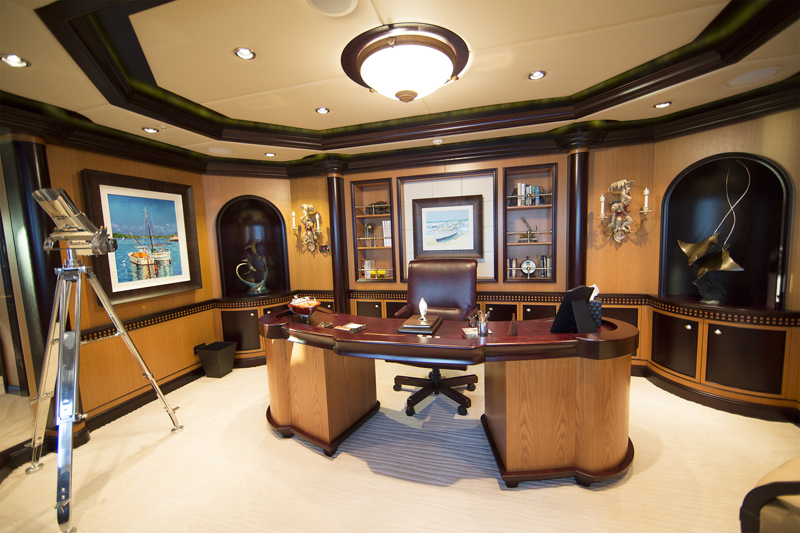 The master stateroom is on the main deck, forward of the salon and full beam of the yacht. 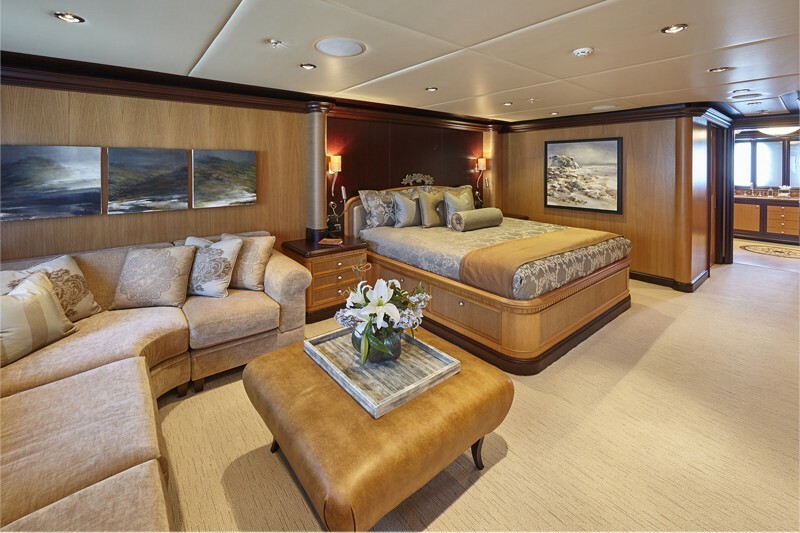 The master cabin offers a king size bed, separate lounge, private study, massive full beam en-suite and walk in wardrobes. 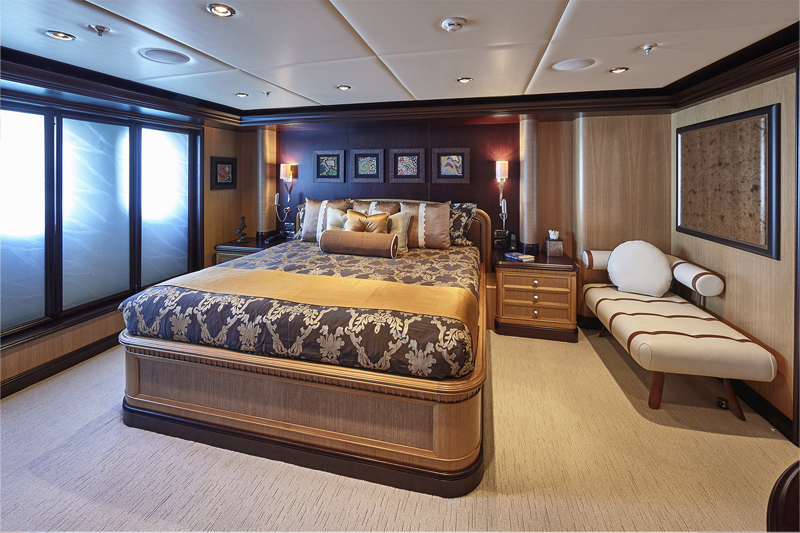 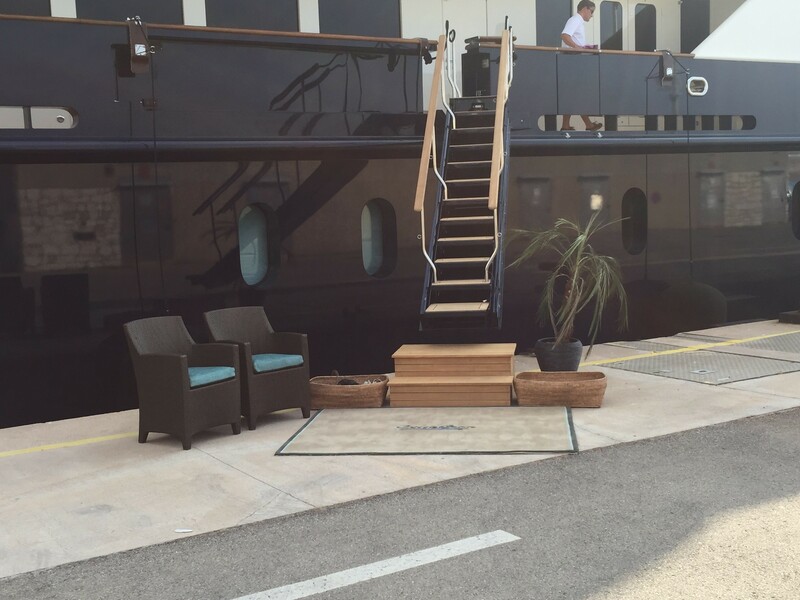 On the lower deck is a full beam VIP cabin, with king size bed, lounge and well-appointed en-suite. 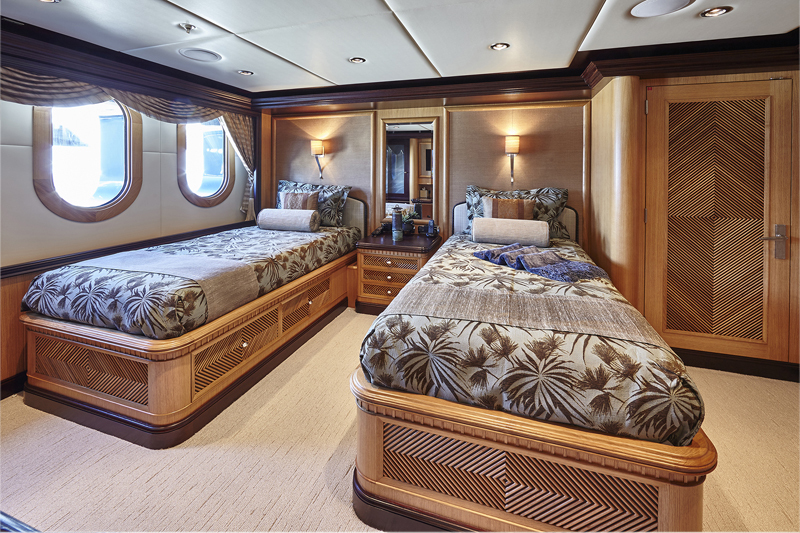 Two cabins have king size beds and are mirror image. 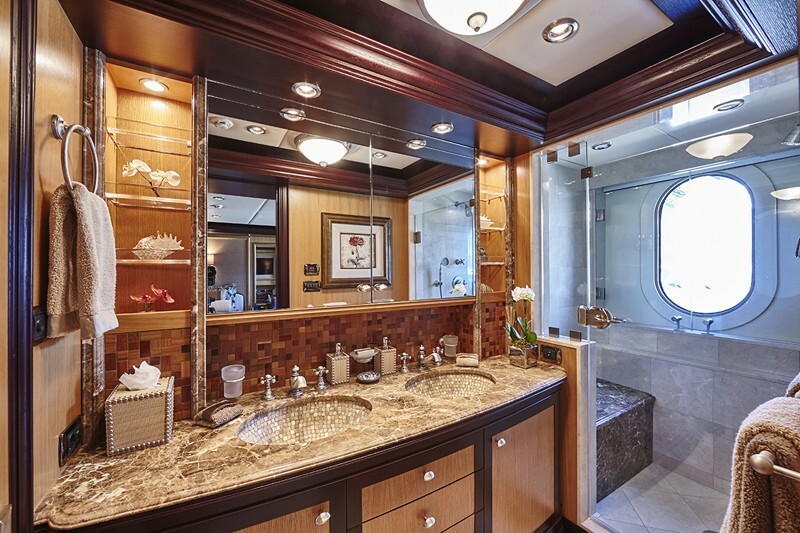 A further 2 twin cabins are also mirror image. 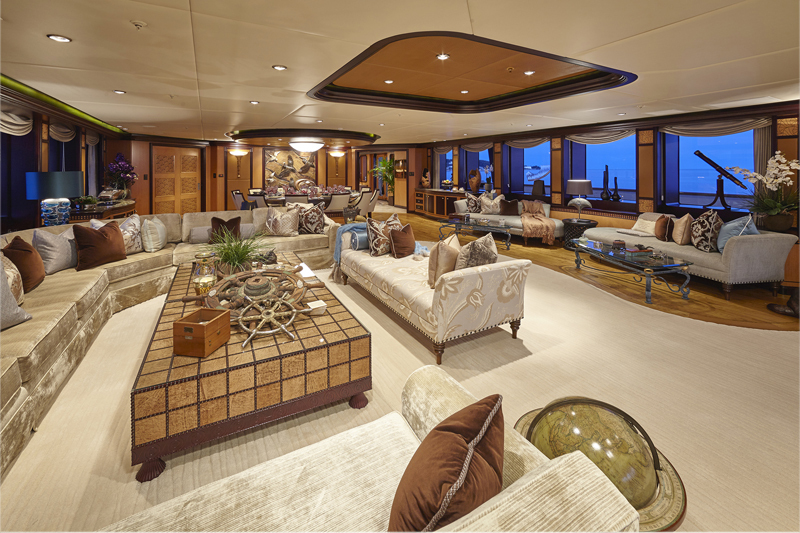 Each guest cabin is incredibly spacious, light, elegant and welcoming.